How exciting! Felt pretty flowy with the navigation but like I was dragging an anchor in the legs, thankfully Ben wasn't too upset about having such a slow partner. I managed to drift into OOB area after expecting to see a tee junction rather than running under an underpass. I dobbed myself in, but they didn't care much. Not for a slow orienteer like me. 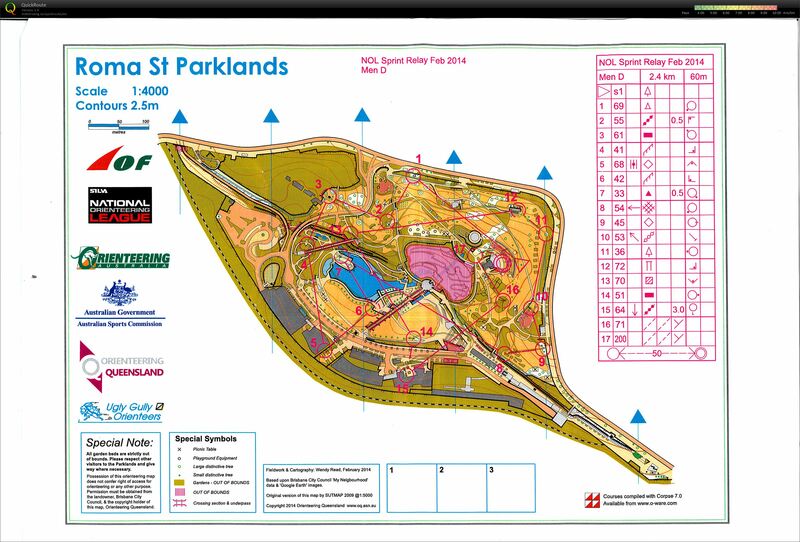 Nice parklands for orienteering in.